After four days of deliberation, a jury told Judge Richard Sullivan that they were deadlocked and could not agree on a verdict. 'Thank God for the jury,' Merlino told reporters. Merlino's mistrial comes one week after the 55-year-old sparked controversy for calling a juror by her first name as she was waiting for an elevator to leave the courthouse. Merlino and his 'crew' approached the woman and Merlino is alleged to have said, 'Hi, Sylvia'. She reported the incident to the judge and was allowed to remain on the jury after vowing that it would not impact her judgment on the trial. 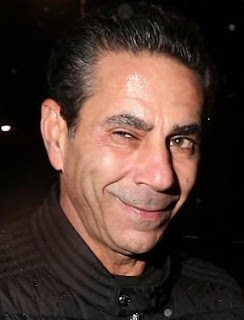 According to prosecutors notorious Philadelphia mob boss 'Skinny Joey' Merlino muscled his way into health insurance and gambling schemes run by organized crime families around the East Coast after spending 12 years behind bars in another racketeering scheme marked by violence. 'Skinny Joey' Merlino re-emerged as a key figure in the Mafia a prosecutor said. "Being with Merlino did not come for free, you pay tribute." 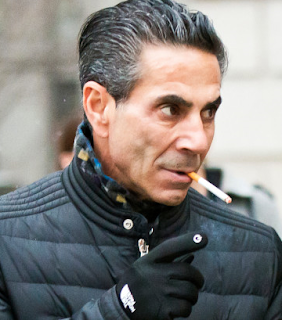 Merlino, 55, was among nearly four dozen defendants arrested in a 2016 crackdown on the East Coast syndicate which included alleged crimes of extortion, loan-sharking, casino-style gambling, sports gambling, credit card fraud and health care fraud. It operated in New York, Massachusetts, Pennsylvania, Florida and New Jersey.